Eine Publikation von Animation Germany. Animation germany is a newly built initiative that unites the interests of the animation and VFX industry in respect to international business development and promotion of their films and production power. 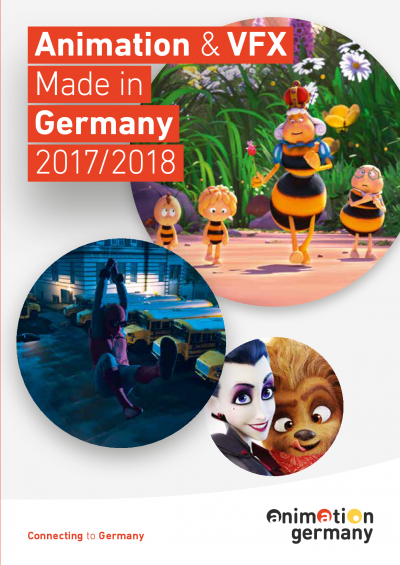 This booklet is part of the initiative and aims to showcase production companies and studios that are active in animation and VFX and work out of Germany. It reflects the great variety of the industry’s potential in content, technique, creativity and style.